Ousted Illinois Gov. Rod Blagojevich claims in a new book that White House chief of staff Rahm Emanuel wanted his help in arranging to leave the Obama administration after two years and reclaim his seat in Congress. Blagojevich writes in his soon-to-be-released book, "The Governor," that Emanuel spoke with him about whether it was possible to appoint a "placeholder" to the seat so he could eventually get it back and continue his efforts to become speaker some day. 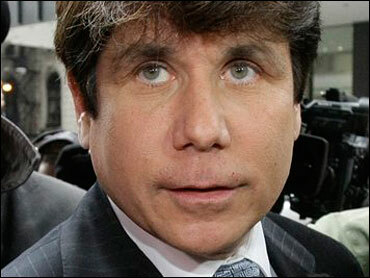 Blagojevich also says he wanted something in exchange for appointing President Barack Obama's replacement in the Senate. The Chicago Democrat says he'd launched a plan to appoint Illinois Attorney General Lisa Madigan to the Senate seat because he hoped to cut a deal on some pet projects with her father, the Illinois House speaker.